Just a few days after appointing a new CEO, troubled insurance and human resources startup Zenefits is laying off nearly half of its staff. The San Francisco-based company will lay off 430 employees, which is about 45% of the staff, a spokesman confirmed. Zenefits said the move had been planned by the board and prior CEO David Sacks, and “is the result of a lot of hard work over the past year to improve our products and service and make the operations of the company more efficient,” the spokesman said in a statement. 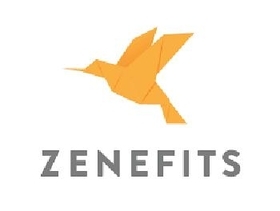 Zenefits said it will be centralizing its operations in Arizona and building out product and engineering teams in Vancouver and Bangalore, India. On Monday, Zenefits named Jay Fulcher as CEO and chairman of the board. He started Feb. 3. Fulcher is the former president and CEO of Ooyala, president and CEO of Agile Software, executive vice president at Peoplesoft, and vice president at SAP, according to a statement on Zenefits' website. He replaced Sacks, Zenefits' former COO who stepped up to lead the company after the firm's former CEO, Parker Conrad, resigned under pressure last February. Zenefits faced accusations that it allowed unlicensed employees to handle insurance transactions and failed to meet insurance agent education requirements. It eventually paid $3.7 million to settle the charges. Sacks announced his departure in November but will stay on as a member of the board of directors.